On today’s Bible Answer Man broadcast (12/20/18), Hank discusses the wisdom in the book of Proverbs and Solomon in the second segment of the broadcast. 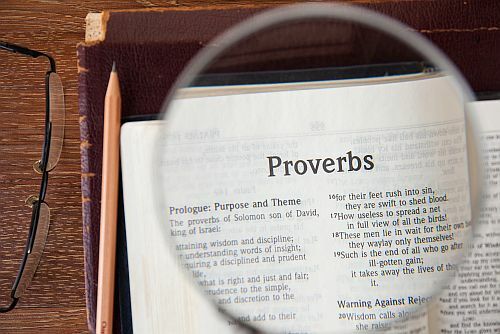 Every single principle, every maxim for successful daily living is encapsulated in the book of Proverbs. As Solomon says in Proverbs 9:10: “The fear of the Lord is the beginning of wisdom and the knowledge of the Holy One is understanding.” As such, the choices we make reflect whether we are truly wise, or merely wise in our own eyes. As Hank puts it, Proverbs provides God’s detailed instructions for his people to deal wisely in the practical affairs of everyday life. What is the best way to study the book of Proverbs and the Psalms? Is In vitro fertilization another form of abortion?